Since 2004, the ATR organization has gathered tourism organizations aiming to propose travelers responsible trips in terms of nature & populations. Atalante is one of the founding members, they helped to draft the first ethical guide for travelers. The ATTA organization was born in the 1990s to gather tour operators, tourism boards, specialty agents and accomodations focused on the sustainable development of adventure tourism. It aims to drive industry promotion and opportunities to network, and convene globally to create a business dynamic in the adventure tourism market. Mountain Hardware is an equipment and gear brand which enables people to practice outdoor activities in any conditions. Our 66°Nord travelers can benefit from -20% on Mountain Hardware products on Snowleader’s website. Forclaz is a durable trekking gear brand by Decathlon, developing specific equipment for mountain trekking, desert hiking and backpacking. 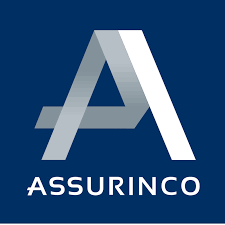 Assurinco is our insurance partner, providing our travelers protection before, during and after their trip with us. Mutuaide Assistance is our insurance partner, providing our travelers protection before, during and after their trip with us.